A 27-pound tumor was removed from top-tier show horse, Caracas 89, in a surgery that was given less than a five percent chance of giving the 9-year-old gelding his life back. The Holsteiner, a force to be reckoned with in both the jumper and equitation rings, was showing sporadic episodes where he was not quite right, but even with multiple veterinarian workups, nothing conclusive could be found. Stabled in at the Winter Equestrian Festival in Wellington with owner Jim Hagman of Elvenstar Farm in February of this year, Hagman walked into the barn to see Caracas and his normally unfriendly stablemate interacting peaceably, which was completely out of the ordinary—and he knew something was wrong. 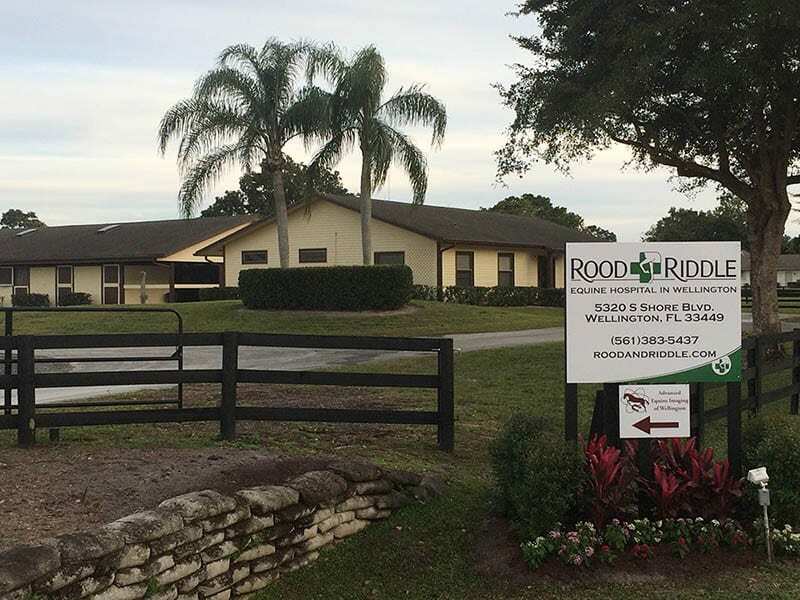 Caracas was sent to Rood and Riddle Equine Hospital in Wellington after a mass was found via ultrasound; the hospital found an “artifact tumor.” The tumor had most likely been growing from very early on in the horse's life, but had reached the point where it was impeding his ability to perform—and perhaps live. The outcome of removing the tumor was not positive, and the vets warned Caracas' owner of four possibilities should the go forward with the surgery: that the tumor may be entangled with organs of the small intestine; that Caracas may have an internal infection; that the tumor may be attached to an area with major vascular tissue; or that he may lose too much blood during the procedure. The insurance company that held Caraca's policy recommended euthanasia. Jim opted for surgery, with the understanding that the horse was not to suffer. Dr Lisa Fultz with Equine Medicine Specialists of South Florida worked on the case with Dr. Jose Bras, who performed the 7.5-hour surgery to remove the tumor. Caracas came out of anesthesia uneventfully and was eating with gusto again in three days. Within seven months he was back to his winning ways, leading the pack at the USEF Talent Search Finals with Halie Robinson on Sept. 22-23 and also being voted “best horse” by the judges. Learn more about Caracas and his amazing recovery from a seemingly insurmountable tumor removal at Riding Magazine. This entry was posted in Horse Care and tagged Caracas, Caracas 89. showjumper, Elvenstar, Jim Hagman, rood and riddle, Rood and Riddle Equine Hospital, tumor, WEF, Wellington, Winter Equestrian Festival by Paulick Report Staff. Bookmark the permalink.